Been too long since a bit of punk rock was featured on this blog but the Signal Gallery have given me the perfect excuse. ‘Beyond Punk’ features art from a batch of first and second wave punk band members along with a few who wear their punk influences on their sleeve. I don’t know much about the styles that will be on show but I sure am interested in seeing the results as some of these people have been consistent influences musically since I first discovered them ‘back in the day’. Charlie Harper of the UK Subs is a proper legend fronting up a band where he has been the only constant in a never ending changing line up. He is, for me, pretty much punk personified. Steve Ignorant was the young upstart in Crass who became influential in ways that at the time I think even he struggled with. 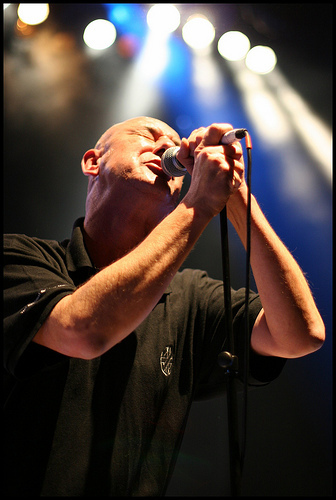 Knox from the Vibrators – well they were the first punk band I ever saw and I just loved Killing Joke so it will be interesting to see what Youth puts on show. Can you tell I’m excited by this one? I hope it lives up to expectations…. 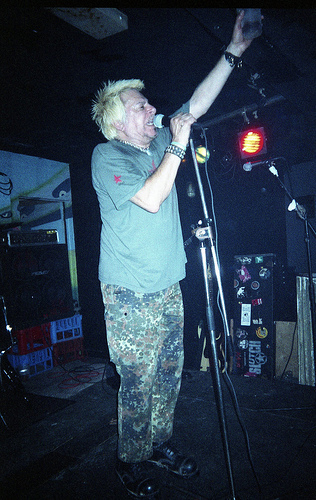 The legend that is Charlie Harper in Hounslow, 2005 (taken on a disposable camera – it was a fun evening)! 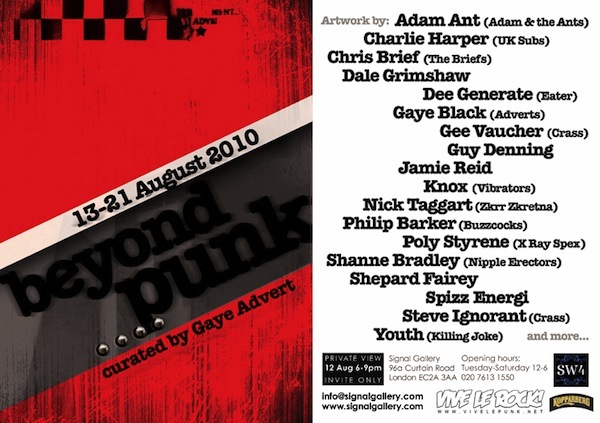 No Responses to "Beyond Punk at the Signal Gallery"